We are the No. 1 installer of artificial grass putting greens in the country. We have supplied and installed putting greens to customers throughout the country – including professionals and Irish Junior Champions. From concept through to reality we can offer a tailor made package to suit the needs of any golfer; whether professional or amateur. 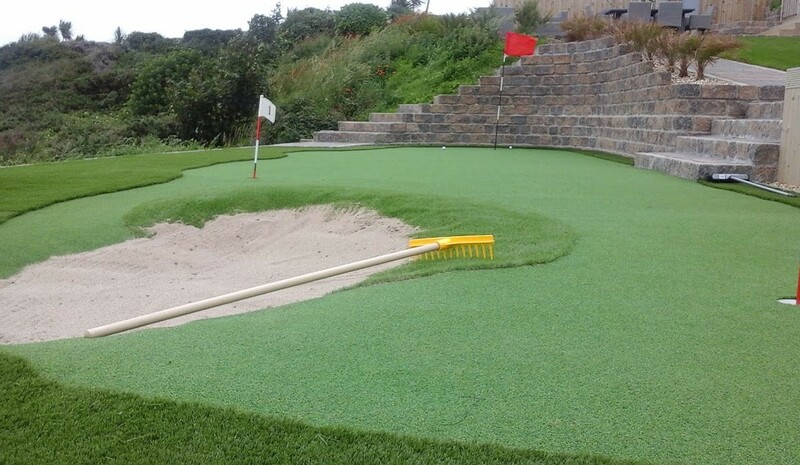 An at-home practice area can sharpen up your short game and lower your handicap. Artificial grass provides a low maintenance, all-weather solution. Our highly skilled installation team will ensure your practice area exceeds all your expectations. 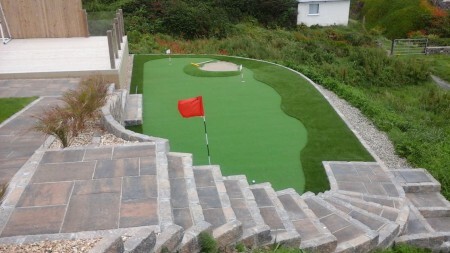 So why not call us for a free consultation and see how an artificial grass putting green can change your game. Pro standard artificial grass putting green with fringe grass and bunkers installed in County Down, Northern Ireland by the Artificial Grass Company. 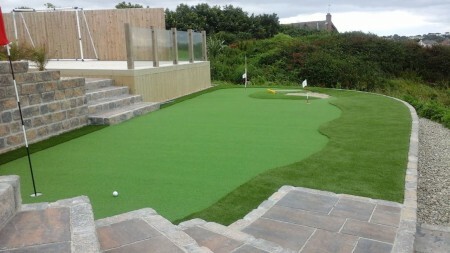 Artificial grass putting green – tailored to your individual requirements. Don’t be rained off! 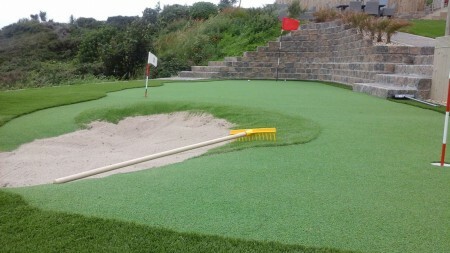 Our artificial grass putting greens are ideal for perfecting both your long and short shots; no matter the weather!